Family beach portraits can be a scary idea. You might of had portraits taken before and it did not go that great. The idea of having them taken again and putting yourself through that torture does not sound like fun. We completely understand and are here to help! Our goal when we take family portraits is to be as quick and efficient as possible while still capturing amazing family portraits. We are all about the experience and making sure that yours is awesome. We want to be the most memorable part of your vacation to ocean city NJ. 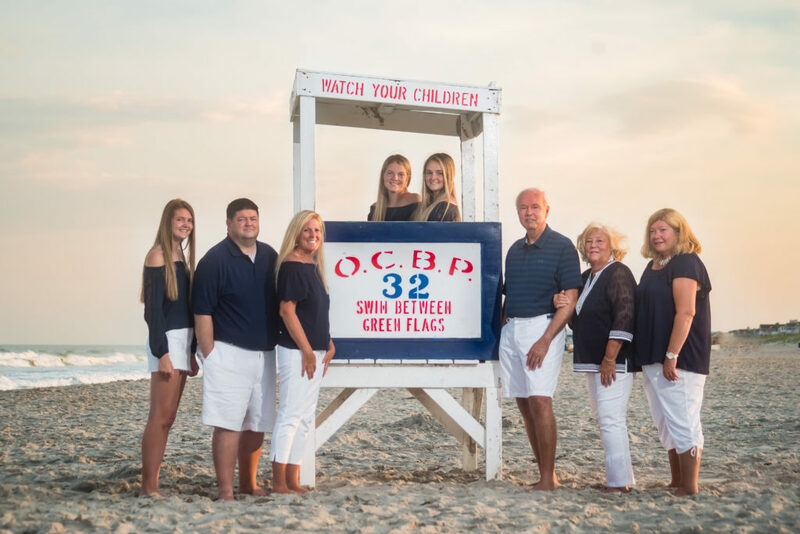 So in this post we will explain what you can expect when you book us for your OC NJ family beach portraits. Obviously you want your portraits taken on the beach in Ocean city. But where on the beach is actually an important factor. We like to use a few different particular spots. First we start close to the dunes. This helps block the sun and also give you time to warm up and relax. After that we move to the waters edge and then we will use a life guard stand or boat. This takes about 40 minutes depending on the size of your family. We run through a variety of poses. Some families make shot lists for us to follow but we find that we photograph every combination already and sometimes even more. Starting with the whole group helps, especially if there are toddlers and babies. The best time for OC NJ family beach portraits is to start at 7:30 PM. The sun doesn’t fully set till about 8:30 in the summer. Starting the portraits at 7:30 gives us a good lead in into the perfect light. By the time we get to 8:00 everyone is comfortable and having a great time. This is when we usually capture the best family portraits. We keep things as simple as we possibly can to make sure every aspect of your experience is a great one. After your session it takes roughly 1 – 2 weeks to see your photos. We post them in a private proofing gallery online for you to see. Then all your orders are done directly online from your gallery and shipped out to you ASAP. We also have an option to buy the downloadable files. Our turnaround time is extremely fast. Especially considering how many family portrait sessions we book. 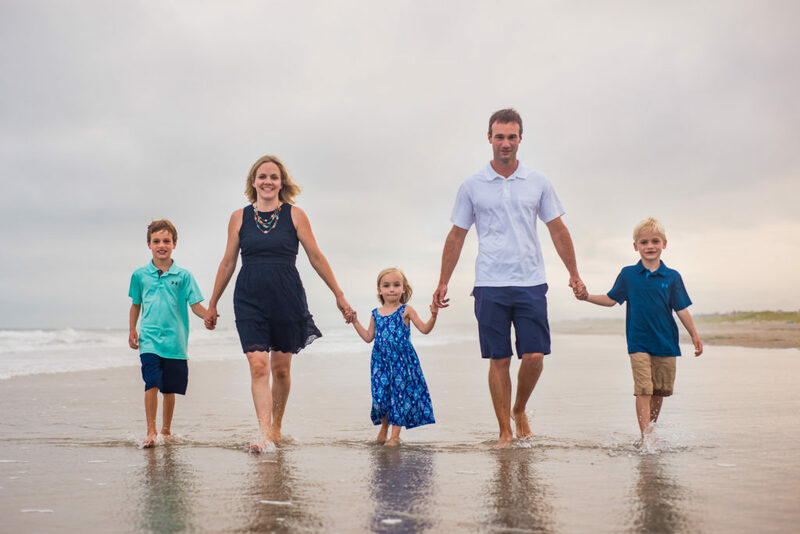 Here are a few great samples of some OC NJ family beach portraits we have captured this year. For more information and to see our full price list just use the contact form below. We look forward to providing you with an amazing portrait experience!